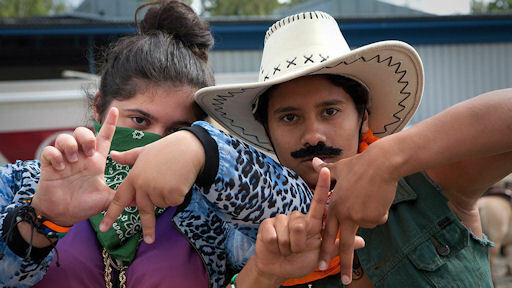 A younger generation has taken over the 2019 Portland International Film Festival (PIFF) with the theme: Empathy has no Ethnicity. “Amateurs” was their brave choice to open the festival. Filmed liked a documentary about two sets of filmmakers making a marketing film about their town, the experimental Swedish film breaks the rules about film-making, challenging the viewer in several directions at once. Morgen Ruff, one of the collaborating new young interim directors of PIFF this year, explained in his introduction at the Whitsell Auditorium that his team chose films with strong, unique, new perspectives that would help us learn more about the world. “Amateurs” was the perfect choice for opening the festival. Its plot involves a German discount chain that may locate a new store in Lafors, a fictitious Swedish town suffering from economic stagnation. Because of financial constraints, the city council agrees with its most energetic member, Musse, to let students in their local high school compete in teams to make a promo video of the town. Why on earth did some teams video what they did? What is real, what is the truth, what is logical and what is important? Plus, how do the immigrants in town affect the entire effort? In an exclusive interview for IJM at the post-film gala, Ruff explained that Rachel Record, Ellen Thomas (the other two interim PIFF directors) and he had previewed about 400 feature films and 200-300 shorts using complicated spreadsheets to decide which 140 should be in this year’s festival. Ruff sees more value in asking questions and trying to put ourselves in another’s situation. 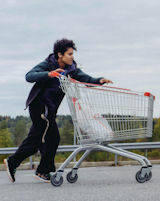 The 2019 festival choices, like “Amateurs,” which won the Dragon Award for Best Nordic Film at Göteborg, challenge us to understand, empathize and not expect tidy explanations. The 2019 Portland International Film Festival is running from March 7 to 21, 2019. ← Trailer: What is Democracy?